Super flexible for those of us who love wearing traditional jeans. The quality is high, the instructions are very clear and having access to an instructional video is a great bonus. I really appreciate the tips on altering - my 36" inseam and aging body requires some serious adjusting. 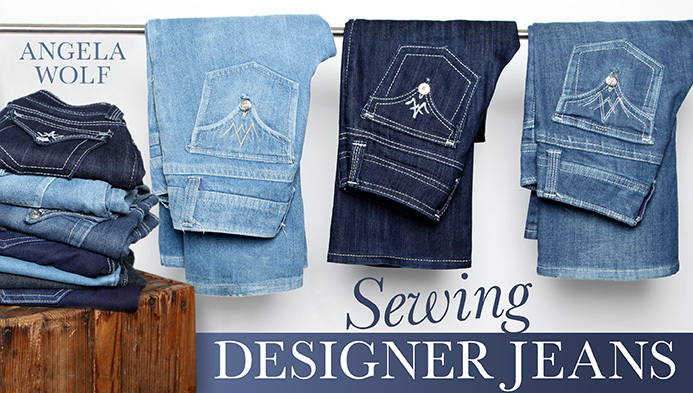 With Angela's pattern, adjusting advice is spot on! So glad I ordered it and love to watch her on Facebook. Professional looking results, easy process! Angela Wolfs' bootcut jeans pattern is one of the best patterns for making professional looking custom jeans on the market! Her pattern is very well drafted and she had taken the time to make sure every detail is well explained in the booklet of instructions included. It is very hard to fail, even if you are an absolute beginner! The addition of further tips and tricks included in the coordinating PDF file, and video tutorials on her blog, is icing on the cake! 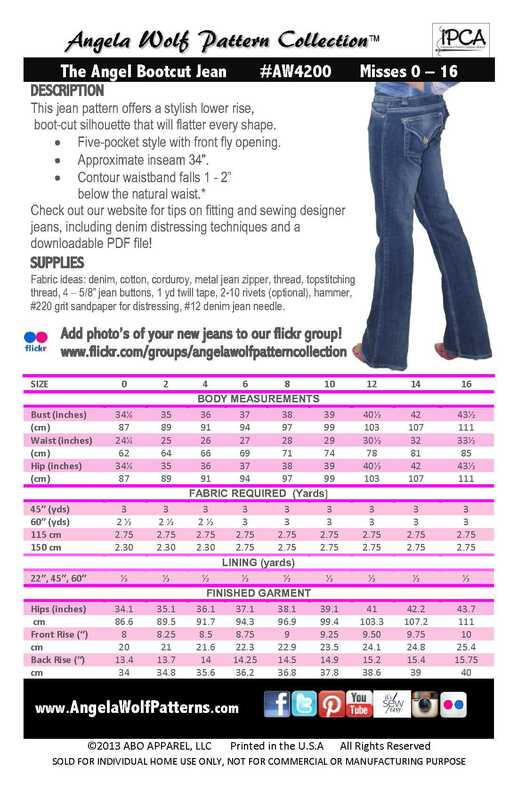 I enthusiastically highly recommend Angela Wolfs' Angel Bootcut Jean pattern for all sewists! I am very happy with this pattern and the Craftsy class that lead me to buying it. I've already ordered some good quality stretch denim and I look forward to making myself my first pair of jeans! After watching Angela Wolf on Craftsy constructing this pair of jeans, I could not wait to order the pattern. I have read through the pattern instructions & I am really impressed with the instructions& clarity. Love the instructions!!! Great jeans.